do that, O son of Kunti, as an offering to Me. Gurmandir would like to invite you to become a monthy member of our congregation by pledging a donation each month to Their Lordships Sri Sri Radha Madan Mohan. Your donation helps to maintain the worship of their Lordships and to provide a facility to the devotees in the bay area to congregate together for chanting the holy name of the Lord. Please contact us by email at admin@gurmandir.com if the monthly amount that you would like to donate is not listed here*. Click here to make a one time donation to Gurmandir. You can also donate thru a monthly pre-authorized deduction from your bank account. 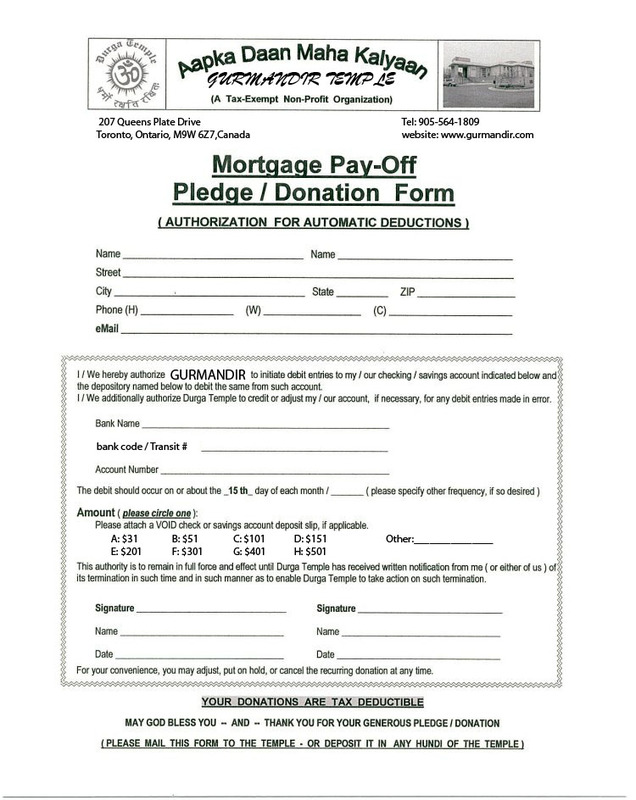 Please fill the donate form and fax it. * Gurmandir is a charitable, non-profit organization and all donations are tax deductible.